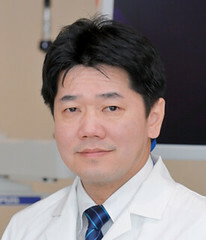 Post written by Hiroaki Ikematsu and Yutaka Saito from the Department of Gastroenterology, Endoscopy Division, National Cancer Center Hospital East, Kashiwa, Chiba, Japan, and National Cancer Center Hospital, Tokyo, Japan. The aim of our study was to evaluate the efficacy of blue-laser imaging (BLI) in the detectability of colorectal lesions. Most studies have not reported an improvement in the detection of adenomas with the use of Image-Enhanced Endoscopy (IEE), possibly because of the darkness of the images. To overcome this limitation, a new-generation endoscopic system has been developed. This system has 2 blue-laser imaging observation modes. The BLI observation was set to BLI-bright mode to detect lesions. We aimed to evaluate the efficacy of BLI in detecting lesions. The participants were randomly assigned to 2 groups: observation by using white-light imaging (WLI group) or observation by using BLI-bright mode (BLI group). This study was designed as a randomized controlled trial with participants from 8 institutions and to compare the detectability of colorectal lesions using the novel endoscopic system of a laser light source (BLI group) with a conventional endoscopic system of the xenon lamp (WLI group). The primary endpoint was the mean number of adenomas per patients (MAP). 474 and 489 patients completed the study and were included in the per-protocol analysis in the WLI and BLI groups, respectively. The MAP was significantly higher in the BLI group than in the WLI group (WLI 1.01±1.36, BLI 1.27±1.73; P=.008). The ADR did not differ significantly between the WLI and BLI groups (52.7% vs 54.8%). Morphologically, flat and depressed lesions (P=.047) were detected significantly more often in the BLI group. We concluded BLI improves the detection of adenomatous lesions compared with WLI. The advantage of detection by BLI may not depend on the colonoscopist’s level of experience. Thank you so much, kindly forward the email contacts of Hiroaki and yutaka .